You don’t have to be involved in alcohol and drugs to be a slave to unhealthy habits and self-defeating patterns. Ultimately, just like those who abuse alcohol and other dangerous substances, you want to make a change for your own betterment but have found that it’s not the easiest thing to do, and thus far have failed to do so. You can just imagine just how much more difficult it is for those who also have to deal with detoxifying their bodies. 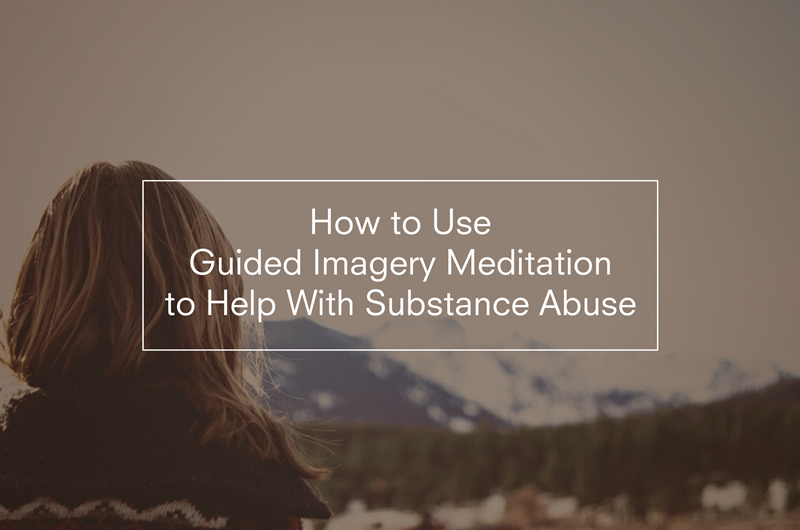 There are many methods that people with a substance problem can try to help in their efforts to reduce or completely eliminate their dependence; one of these is guided imagery meditation. This has been found by many who’ve tried it to be a very effective tool in empowering them to tune into their minds and bodies to gently convince them to effect the change that they desire. Guided imagery teaches you to access the power of your feelings, quiet the clamor of your cravings, and come up with new goals and motivations for your unconscious mind. Just as animals can be trained toward certain behaviors, people can also be trained similarly. We, after all, also bear an animal part in us. You can think of it as the reprogramming of your mind and body to successfully conquer impulses, urges, and addictions. With this technique, you’ll be using mental imagery to help your body overcome unhealthy habits. Typically, you will be given suggestions or images for the purpose of directing your thought to guide your imagination toward a relaxed but focused state. The belief is that your body, mind, and senses are all interconnected, so, with the use of descriptive language, your senses and imagination are stimulated. Music is often included as it is known to be a powerful tool in enhancing imagery, making visions more vivid, as well as increasing absorption or involvement in the imagery. It also boosts duration and quality. The usual benefits of this technique include increased insight, improved relaxation, as well as spiritual and emotional growth, which are all necessary in successfully managing alcohol and substance abuse. As mentioned above, substance abuse and alcoholism are just two maladaptive patterns that guided imagery meditation can reduce. Other possible excesses and unsavory behaviors include overeating, smoking, gambling, and overspending, as well as procrastination and impulsiveness. If you decide to try guided imagery, do so wisely. Do not attempt it when you know you need to be fully awake and alert.